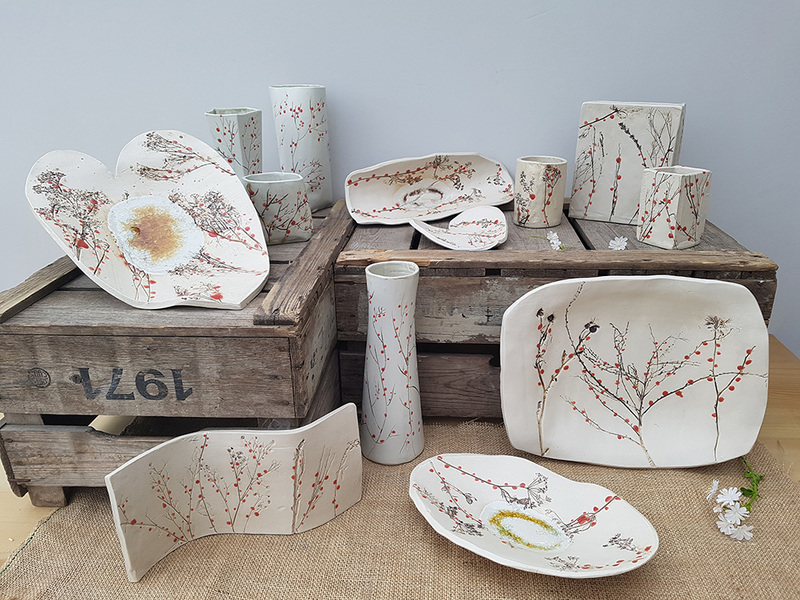 Charlotte Hupfield is a ceramic designer/maker based in the heart of Northamptonshire, UK, creating individually handmade one-off ceramic pieces from her studio at home. 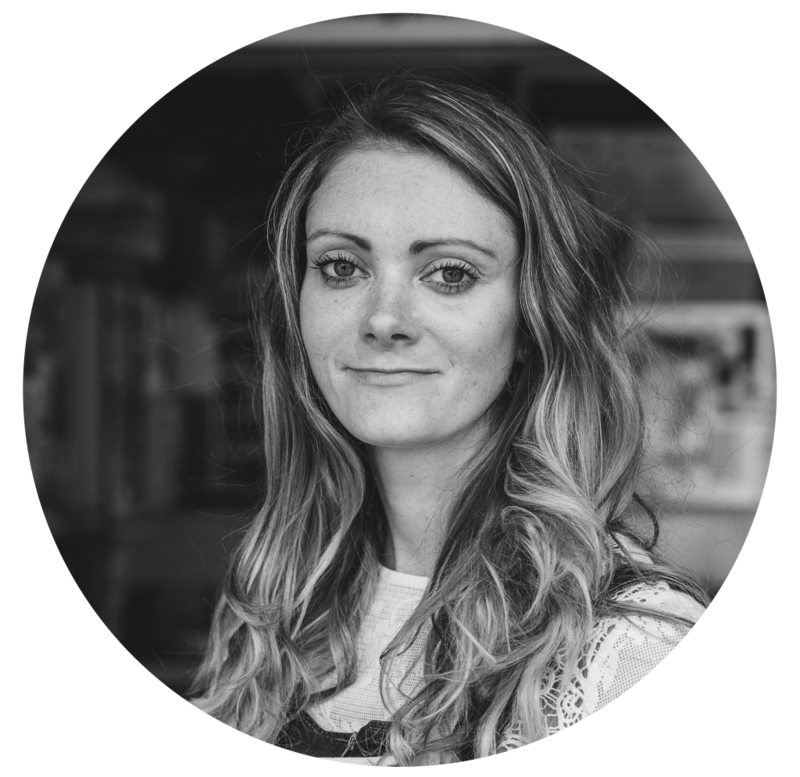 It is here that she enjoys spending time on commissions, personalised orders and bespoke natural designs while drinking tea. 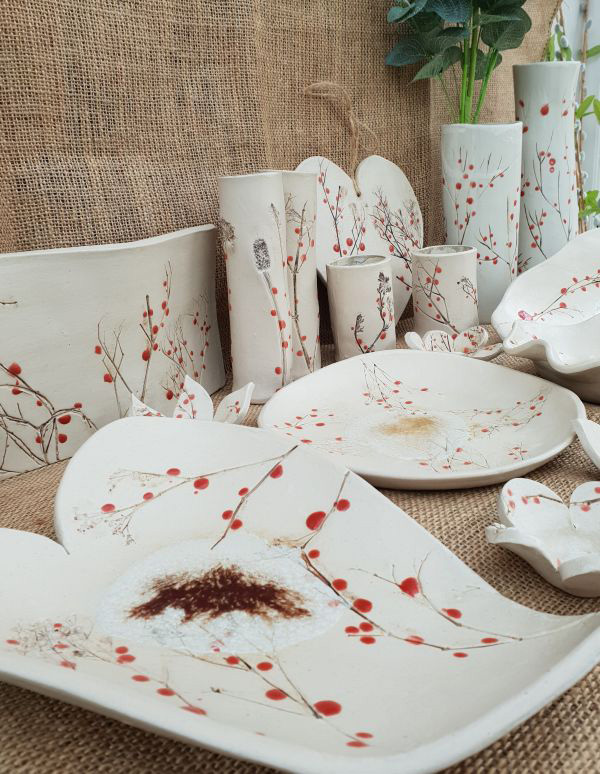 Graduating from Coventry University in 2008 with a BA Hons degree in Surface Decoration, Charlotte used this time to explore and specialise in ceramics. 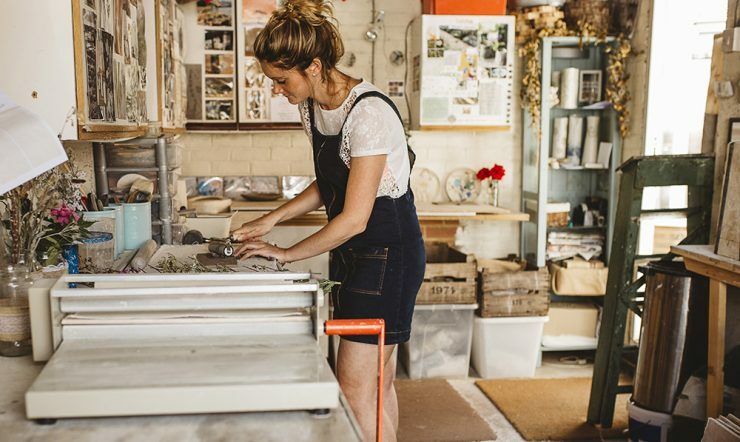 She has been continuing to develop and broaden her work from her home studio ever since. Charlotte enjoys using a mixture of making techniques including hand building and slip casting, giving variation to her work. The signature element of incorporating glass into her work gives pieces another dimension and extra colour. Customers at craft fairs are always ‘wowed’ by the effect of the melted glass, and want to touch it. 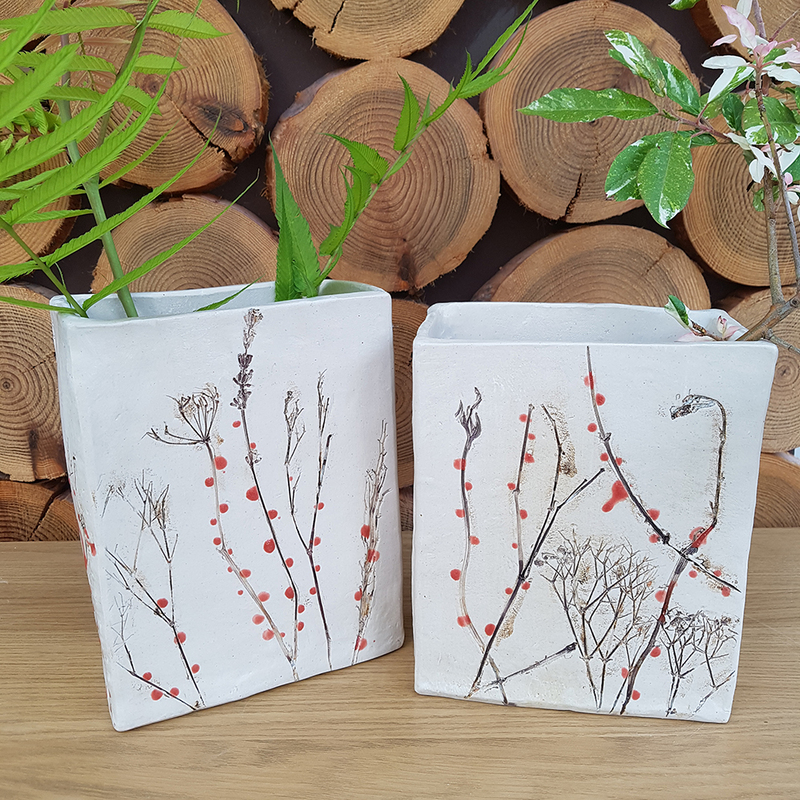 Charlotte uses a locally sourced stoneware clay that is a very durable material, allowing many pieces to be kept outside in all weather conditions. The work is fired in an electric kiln up to 1260’C. Having always been attracted to natural surroundings, Charlotte is drawn to textures within the countryside around us. 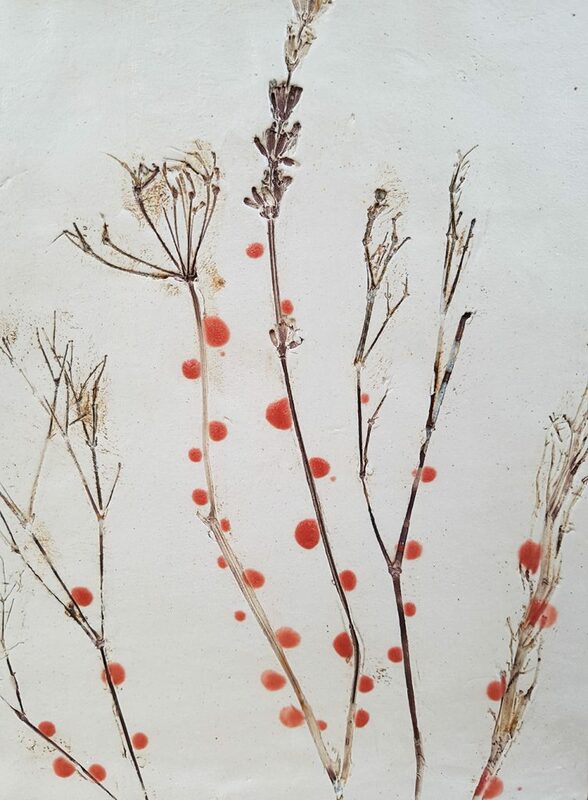 Her work explores the landscape and the detail of many different organic objects. Wild flowers are hand picked from local hedgerows and used to impress into the surface of the clay before constructing forms. 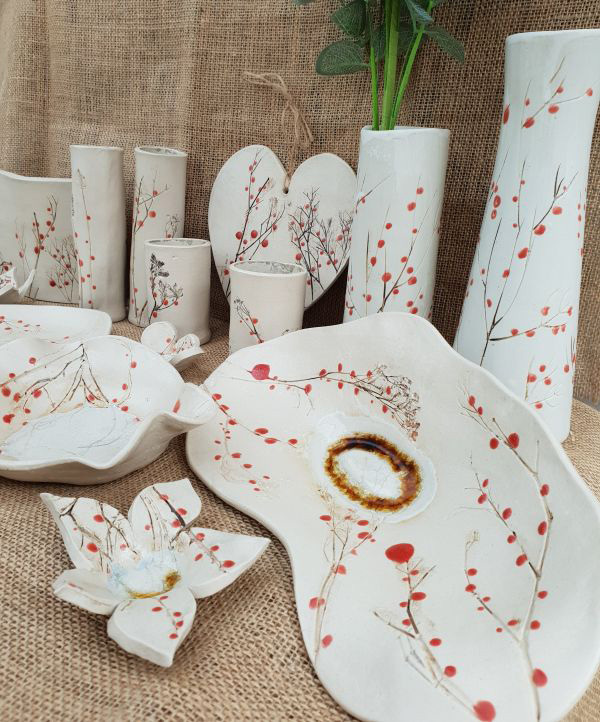 Charlotte Hupfied Ceramics was chosen as a Small Business Sunday winner by Theo Paphitis in 2011. Earlier this year Charlotte was awarded the ‘Award for Excellence’ by The Giftware Association while exhibiting new collections at The British Craft Trade Fair in Harrogate. 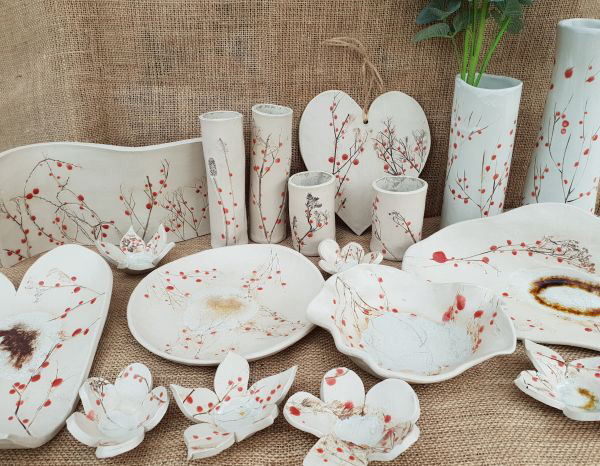 We are delighted that Charlotte is returning to Heart Gallery for CHRISTMAS AT HEART; this time with her red berries collection which we chose at BCTF in April 2018 where she won her award. The exhibition runs until 20th January 2019.